CLIENT, PLEASE WRITE IN THE COMMENT BOX BELOW THE DREADLOCKS SERVICES THAT YOU ARE REQUESTING. Please read our Deposit Policy below. NO REFUND ON ANY DEPOSIT THAT WAS MADE TOWARDS A FUTURE APPOINTMENT, CREDIT ONLY. FOR EXAMPLE CREDIT ONLY: Credit only, on any of the Hair Services. The client/Customer has two weeks to reschedule a future appointment from the actual date of the appointment that's been canceled. Theclient has to call the hair salon/Dreadlocks Meme Inc. at (786) 290-6552 within 48 hours before the appointment date and time to reschedule a new appointment. If the client canceled his/her appointment at the last minute the client will lose the entire deposit that was made towards that particular appointment date. The consultation fee will be deducted on your dreadlocks final price, only if the client accepts any dreadlocks service (s). (it will be only one time the consultation fee will be deducted on the client's initial dreadlocks services. There is no refund on any consultation fee. HOW MANY TIMES CAN A CLIENT RESCHEDULE THEIR APPOINTMENT? 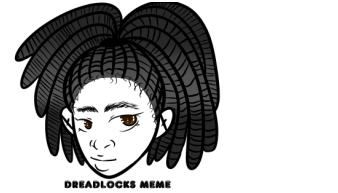 (DREADLOCKS CONSULTATION OR DREADLOCKS SERVICES). ONCE AGAIN, THE CLIENT OR POTENTIAL CLIENT HAS A TWO WEEK PERIOD TO RESCHEDULE A NEW APPOINTMENT, IF THEY CALL WITHIN 48 HOURS BEFORE THEIR ACTUAL APPOINTMENT DATE AND TIME. PLEASE DO NOT TEXT TO MAKE ANY CHANGES, DO NOT E-MAIL TO MAKE ANY CHANGES OR CANCELLATIONS. PLEASE, CALL ONLY AND SPEAK TO A LIVE PERSON TO MAKE ANY CHANGES OR CANCELLATIONS. PLEASE DO NOT LEAVE ANY VOICE MESSAGES, E-MAIL MESSAGES OR TEXT MESSAGES IN-CASE WE DO NOT RECEIVE THEM. I _____________________________________________________CLIENT OR POTENTIAL CLIENT HAVE READ AND I AM CLEARLY AWARE OF THE STATEMENTS ABOVE IN REGARDS TO THE RULES AND REGULATIONS WHEN IT COMES TO A DEPOSIT ON A FUTURE APPOINTMENT. I FULLY AND CLEARLY UNDERSTAND THE statements ABOVE; IF I HAVE TO MAKE ANY CHANGES OR CANCELLATIONS, I KNOW I WILL HAVE TO CALL (786) 290-6552, THE HAIR SALON/ DREADLOCKS MEME INC. TO MAKE ANY CHANGES WITHIN 48 HOURS BEFORE THE APPOINTMENT DATE AND TIME. CLIENTS NEED TO TALK TO A HAIR STYLIST, THE MANAGER OR A HAIR STYLIST/LOCTICIAN OR THE RECEPTIONIST TO MAKE ANY CHANGES ON THEIR EXISTING OR FUTURE APPOINTMENT. PLEASE DO NOT LEAVE A VOICE MAIL, OR SEND A TEXT MESSAGE. PLEASE SEND US AN E-MAIL AND CONFIRM IT WITH A PHONE CALL ANY CHANGES FOR YOUR RESCHEDULED APPOINTMENT. FOR US TO MAKE ANY CHANGES OR RE-SCHEDULING ANY APPOINTMENT WE MUST RECEIVE AN E-MAIL TO MAKE ANY CHANGES, RE-SCHEDULING OR ANY ADJUSTMENT TO A SCHEDULED APPOINTMENT. please do not bring kids with you while receiving DREADLOCKS serviceS or a consultation.